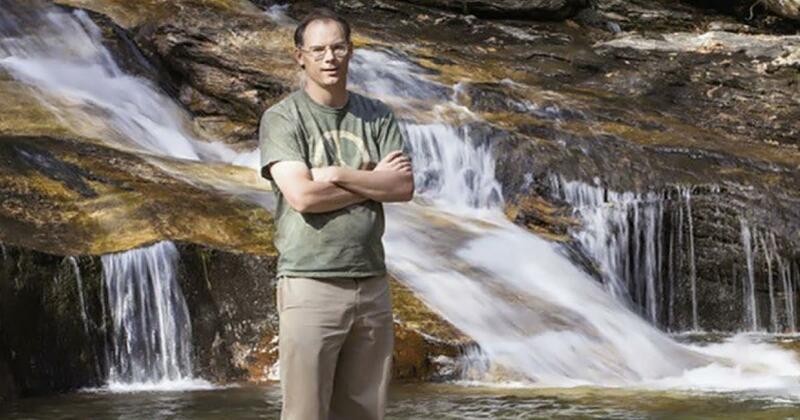 Creator of the online video game Fortnite, Tim Sweeney, has been captivating audiences for decades by developing intricate and interactive digital worlds for players. However, it is his work away from the screen that is currently grabbing attention from gamers and non-gamers alike. Sweeney is best known for founding the video and 3-D software company Epic Games in the 1990’s. Epic Games has given us popular video game titles such as Unreal Tournament, Gears of War and, most recently, the massively popular game Fortnite. In addition to these popular gaming titles, the billionaire philanthropist has made good on his promise to protect undeveloped and bio-diverse land in the picturesque western Carolina mountains for future generations. Since 2008, Sweeney has spent millions on conservation projects in his home state of North Carolina to protect and preserve its forest land. He has purchased nearly 40,000 acres over the last decade, making him one of the largest private land owners in the state. Sweeney has also donated money to several conservation parcel projects, including a 1,500 acre expansion to Mount Mitchell State Park. In November 2016, Sweeney donated $15 million for a conservation easement to protect 7,000 acres of the The Box Creek Wilderness. The forest, located in the foothills of the Blue Ridge Mountains, had been targeted by a company that wanted to carve up the land and run power lines through it. A year later Sweeney purchased 193 acres in Alamance County for $1.973 million from Sizemore Brothers LLC. Following the purchase, Sweeney’s representative Joe Kelleher confirmed the purchase and guaranteed that the land would remain undeveloped. Last year, the video game mogul purchased a 1,500 acre parcel of land known as Stone Hills that was being considered for development as a golf resort community. A local newspaper noted that the land would have featured two championship golf courses, a resort hotel and spa, a community of 1,050 homes and up to 90,000 square feet of retail, dining and office space. Following the purchase, Sweeney stated he intends to preserve the land for its’ natural beauty. Sweeney’s conservation efforts come at a time when protecting our nation’s forests has become increasingly important. As previously reported by The Mind Unleashed, a study led by North Carolina State University professor Nick Haddad and conducted by 24 scientists, found that there are only 2 truly intact forests left on Earth. When the study’s authors examined the effects of human involvement on forests, they found habitat fragmentation leads to 13 to 75 percent decrease in plant and animal diversity, reduces the ability of animals and plants to survive and can even distort the food chain, as smaller patches of forest tend to have an increase in predator population. Thankfully, as science continues to learn more about the importance of undeveloped forest land, billionaire philanthropists are noticing and taking action. China’s wealthiest man has also taken note of the importance of conservation. In 2015, Jack Ma, the billionaire behind online retail giant Alibaba, purchased 28,000 acres of land in the Adirondack mountains of upstate NY. His first action taken after purchasing the land was to halt logging operations. Rare Astrological Alignment January 17 Through 21: All Planets Go Direct!